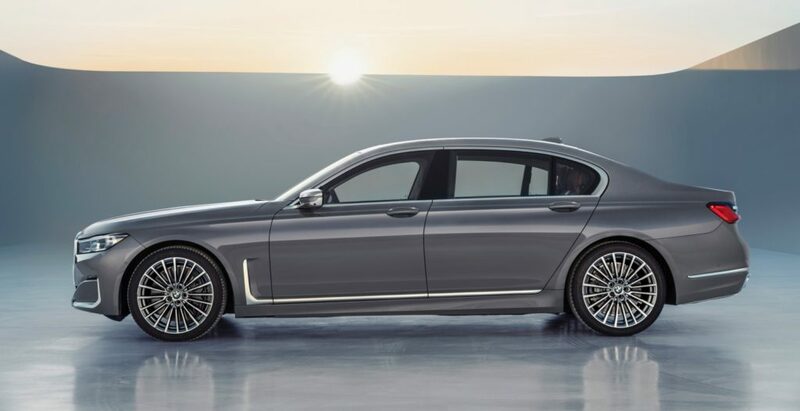 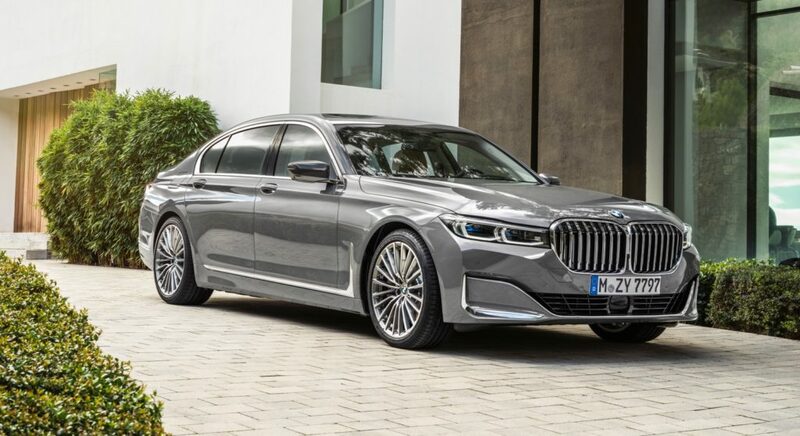 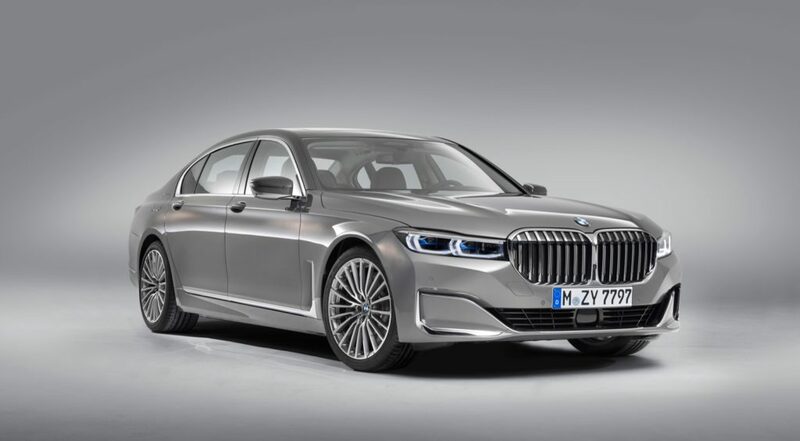 BMW has unveiled the updated 2020 BMW 7 Series. 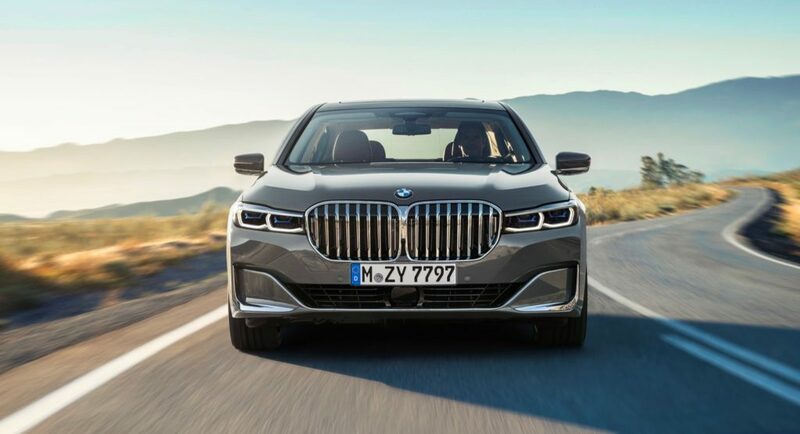 The biggest change you’ll immediately notice is the big new kidney grille. 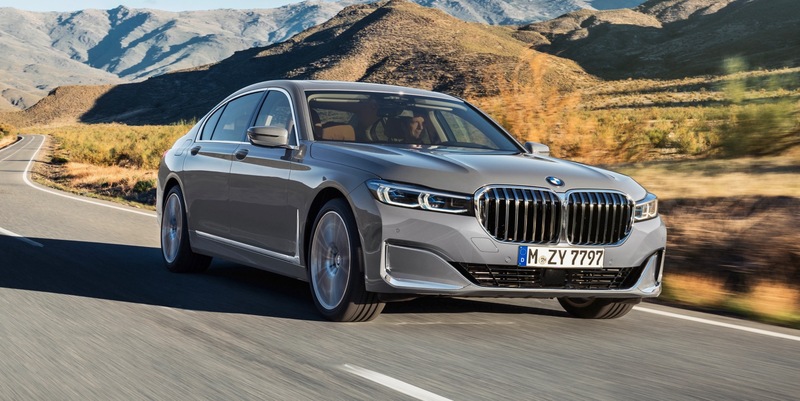 Both the front and rear fascias have been redesigned, but the new grille is likely all that anyone will talk about on the 2020 7 Series. 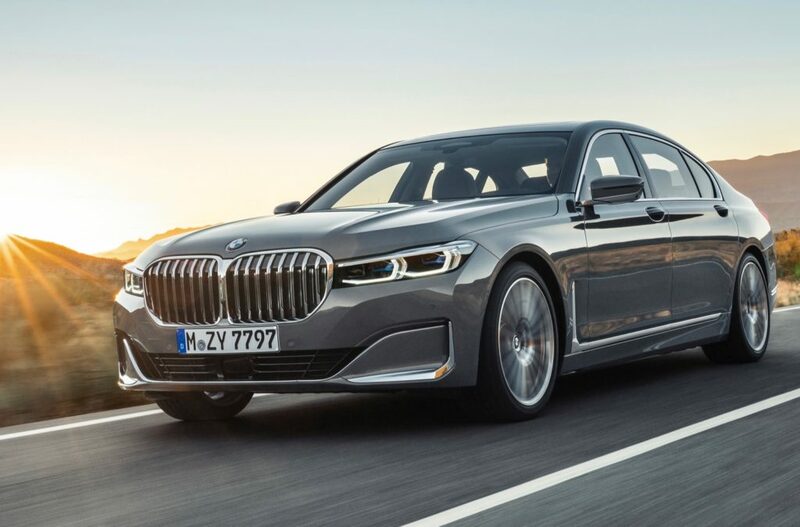 The new grille is 40 percent larger than the before and combined with a 50 mm taller front end, the 2020 7 Series is now more imposing than before. 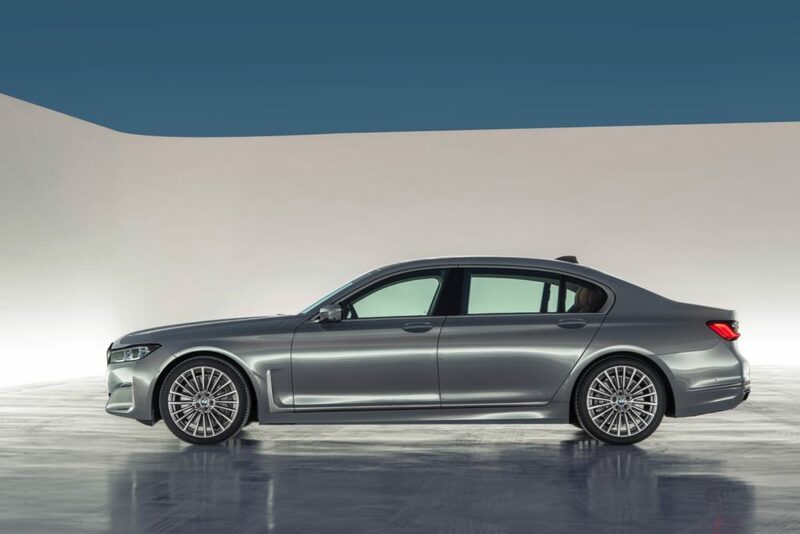 The front fascia also gets new slimmer headlights with adaptive LED technology and a redesigned bumper. 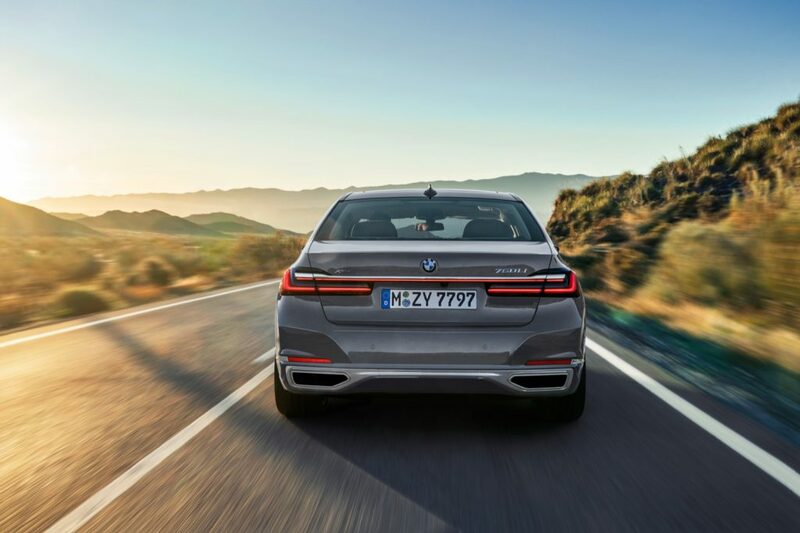 At the rear the redesigned taillights are 35 mm slimmer and a full width light strip has been added. 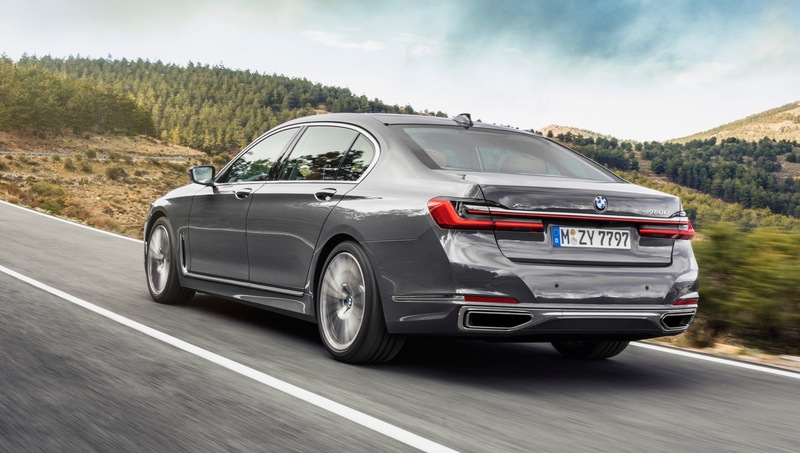 The rear bumper has also been redesigned with wider exhaust outlets. 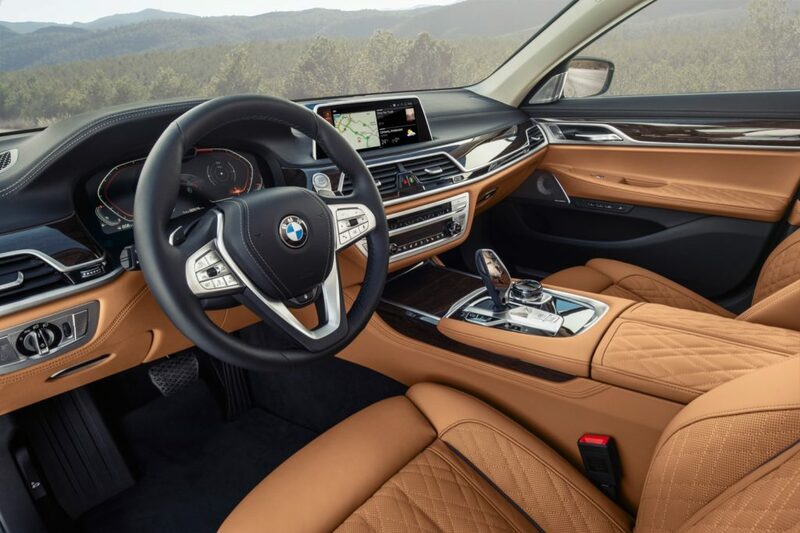 Inside the updates include a new steering wheel and in front of the driver there’s a 12.3-inch digital instrument cluster. 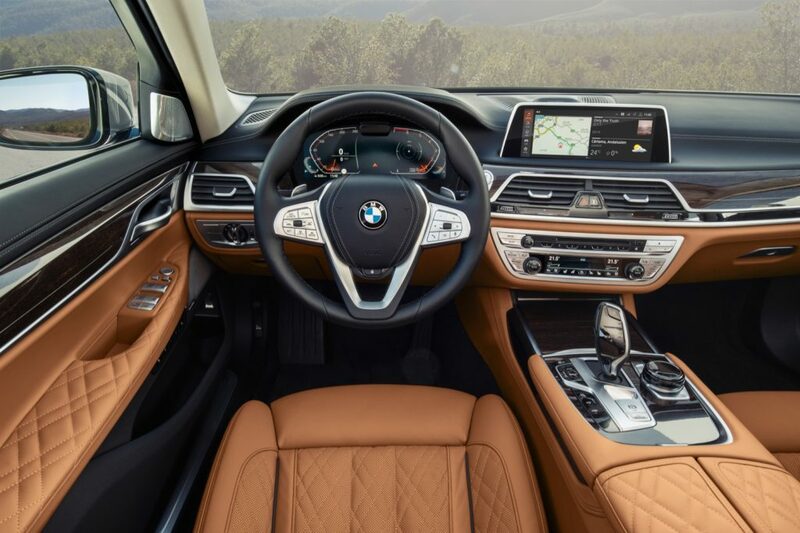 The 2020 7 Series also features BMW’s latest Operating System 7.0 infotainment system that’s accessed via a 10.25-inch screen. 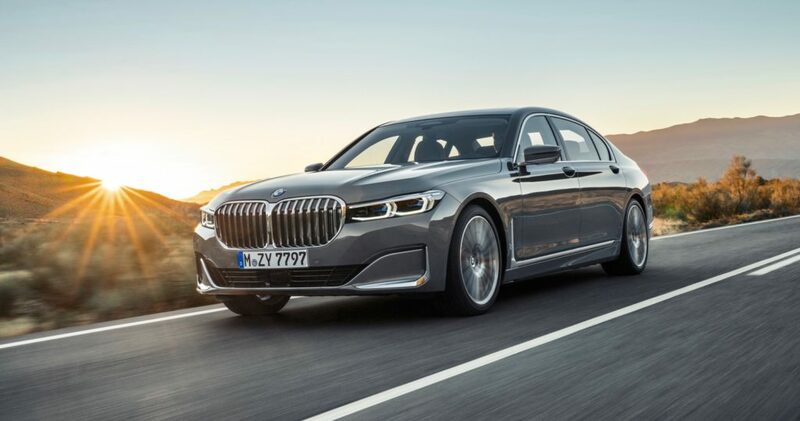 Under the hood the 2020 7 Series gets the same 4.4L V8 that powers the new 8 Series, which generates 523 horsepower and 553 lb-ft. of torque. 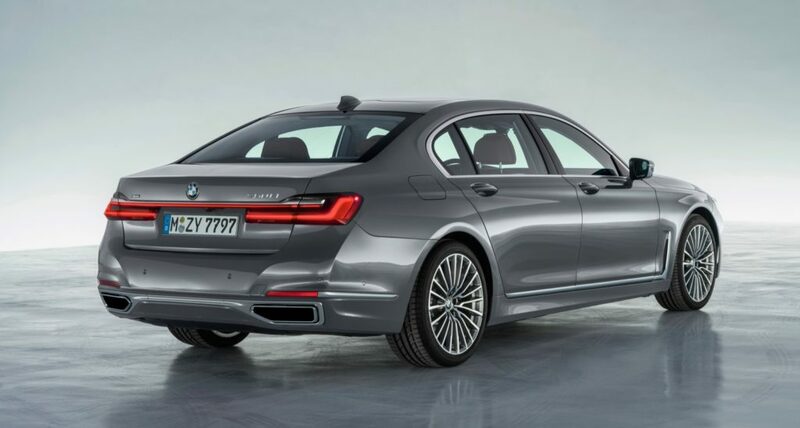 The plug-in hybrid 745e with its new in-line six-cylinder engine, generates a combined 388 horsepower and 442 lb-ft. 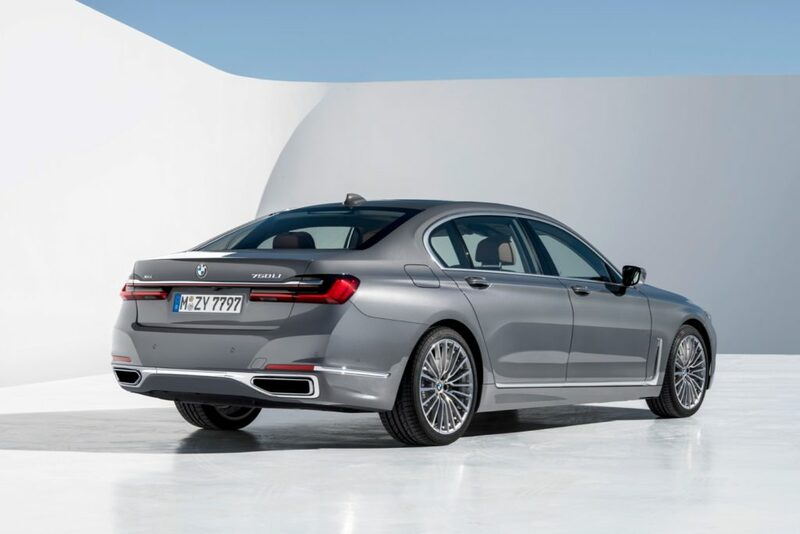 The top model is the M760Li xDrive, which is powered by a 6.6L V12 engine that generates 577 horsepower and 626 lb-ft. of torque. 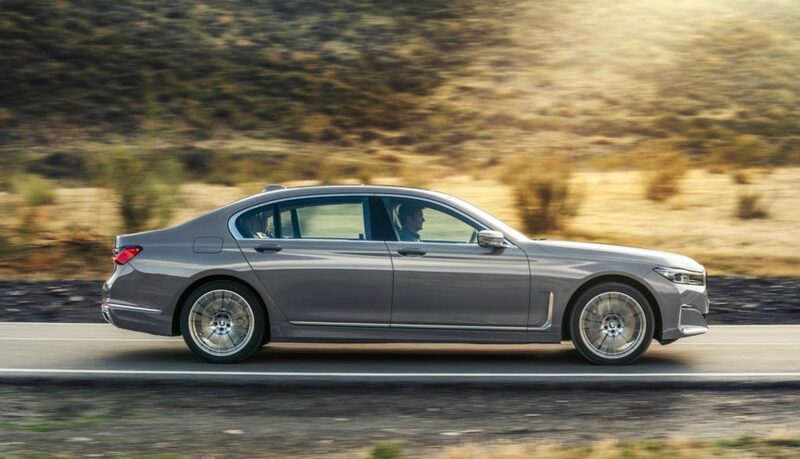 Th V12-powered 7 Series can reach 62 mph in only 3.8 seconds.